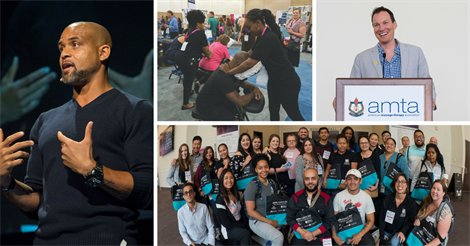 In 2017, the American Massage Therapy Association (AMTA) continued to make significant progress in advancing the art, science and practice of massage therapy. As the non-profit organization representing the profession, the association’s efforts included building partnerships to advance massage therapy education and standards; expanding relations with a variety of health care associations to build respect for the profession; and engaging state and federal government agencies and organizations to increase opportunities for integration of massage therapy into health care. AMTA continued to promote the efficacy of massage therapy to consumers and stepped up to help build the future of the profession by providing free Student memberships to all students in AMTA member massage therapy schools and provided free continuing education courses to all massage therapists. And, we held the largest national convention in AMTA history for the second year in a row! AMTA was an active participant in the AAFP national conference, providing information on research supporting the value and effectiveness of massage therapy, and educating physicians on how to find AMTA members for referrals. And, AMTA President Dolly Wallace provided an article for the AAFP magazine, The Pain Practitioner, about the benefits of massage therapy for those with arthritis. AMTA was also an active participant in the AIPM national conference and set up further direct collaboration for 2018. AMTA expanded its previous work with the Office of the Attorney General of West Virginia to promote massage therapy as an alternative to opioids for pain by contacting 36 other attorneys general to reinforce their statement that massage therapy should be part of plans by health insurance companies to choose alternatives to opioids for pain. The association also submitted recommendations to the Food & Drug Administration and the U.S. Agency for Healthcare Research and Quality for inclusion of massage therapy in guidelines for pain relief. In March, AMTA became aware of a pending application to register the generic term TRIGGERPOINT with the United States Patent & Trademark Office (USPTO). The application was filed for massage rollers, DVDs and books in the field of “fitness.” AMTA has continued its active opposition to the filing and will continue to do so to protect everyone in the massage therapy industry from this potential restriction of a generic term. AMTA is the only national association in the profession that is defending the right of therapists, teachers and others to continue to use the term “trigger point” freely and without restriction. In November, AMTA issued a national press release reminding the public of what they should always expect from their massage and massage therapist. More than 200 news organizations, including 100+ local TV stations, picked up the story which included a video statement from AMTA President Dolly Wallace. AMTA continued to be the primary benefactor of the Massage Therapy Foundation with financial support exceeding $475,000. The association directly supported the MTF’s fundraising and awareness-building efforts for the profession, including support for Boston Marathon runners and AMTA members Collette Wilson, Christine Bailor-Goodlander, Vincent Dufort and Jodi Newman. AMTA continued its co-sponsorship of Team Roger C. Peace (one of the premier para-cycling teams in the U.S.) and funded the gathering of data on the impact of massage therapy on the conditioning and performance of these professional athletes as follow-up on their 2016 U.S. Paralympic Team. AMTA’s name and logo continues to be prominently displayed by the athletes as they compete and massage therapy is closely associated with their training and conditioning in this first of a kind study. Largest AMTA National Convention Ever! For the second year in a row, the AMTA 2017 National Convention was the largest and most successful convention in AMTA history. Opening Session keynote speaker Shaun T, a world renowned fitness expert, energized AMTA 2017 National Convention attendees with his message of self-care. Closing Session speaker Shawn Achor, a top TED speaker and a former Harvard professor, shared research on the correlation between happiness and success. Using humor and his scientific approach to emotional self-care, massage therapists learned actionable techniques to increase happiness in their personal and professional lives. AMTA continued to support the future of the profession by extending free Student membership to all students in AMTA member schools. The board recognizes that it is a challenge for massage school students to pay the costs of their education and look forward to their careers. Students can use AMTA resources, including the ability to connect with Professional members at chapter meetings, to increase their knowledge of the realities of the profession. And, the association continued to offer scholarships to students, now more than $200,000 since the program began. 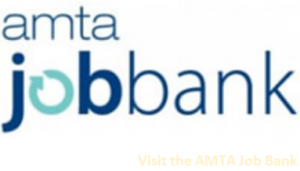 Understanding the challenges when a large number of members are affected by a natural disaster, AMTA provided dues relief to members affected by Hurricanes in 2017.